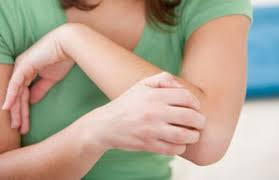 Itchy skin can be caused by many things such as allergic reactions, insect bites, or skin conditions such as eczema and psoriasis. You can protect yourself from itching with natural ingredients at home. Here are some natural ingredients that can be used to treat itchy skin. Aloe vera is known to have a myriad of benefits, one of which is to relieve irritation and itchy skin. Aloe vera gel can be applied directly to the skin that is irritated and itchy. Irritation and itchy skin can also be caused by dry skin. Aloe vera can help overcome this, by maintaining the moisture and suppleness of your skin because aloe contains very high water. Aloe vera also has antimicrobial properties that can prevent the development of irritants from becoming infected. In addition, aloe vera helps stimulate cell growth so that irritated skin heals faster and leaves only a small amount of scar. This herbal plant also acts as a natural anti-inflammatory that helps reduce redness, inflammation, and pain associated with skin irritation. Sometimes itchy skin is also accompanied by pain. Aloe vera has sedative properties that can overcome itchy skin. Apple vinegar can treat itchy skin due to skin irritation due to allergic reactions. You can apply one teaspoon of apple vinegar to the itchy skin. You can also use a cotton compress soaking apple cider vinegar to deal with itchy skin. Antiseptic and antifungal properties in apple vinegar can also help relieve skin infections. In addition, apple cider vinegar can also help reduce dry skin, which can cause irritation. Centella asiatic or in Indonesia known as gotu kola is an herbal plant that is used to treat minor wounds. This herbal plant contains triterpenoid chemicals which are useful for accelerating wound healing, increasing antioxidants in irritated skin, strengthening the skin and increasing blood flow to the injured skin area. In addition, the content of asiaticoside and madecassoside in asiatic Centella can also increase collagen production which can accelerate the healing process of irritated skin. Also, it can fade the scars faster. Coconut oil is believed to be able to treat various skin problems such as itchy skin, zits, psoriasis, and eczema. The protein content of coconut oil can help the regeneration of skin cells, which means it can help repair damaged skin so that it can prevent skin problems such as irritation. In addition, coconut oil is also effective to be used as a skin moisturizer, especially for people whose skin tends to dry out. Tea tree oil has anti-inflammatory and antimicrobial properties that can relieve skin irritation and overcome itchy skin. With anti-inflammatory properties in the content of tea tree oil, the ingredient is believed to relieve eczema itching and skin psoriasis. It's easy, mix one tablespoon of coconut oil, 5 drops of tea tree oil, and 2 drops of lavender extract, make the texture like a liquid lotion for the skin. You can use it as an itchy cream that can be taken away. Oatmeal is humectant, which can help moisturize the skin. Oatmeal also contains avenanthramide compounds that work to reduce inflammation and redness of the skin. To get this benefit, you can take a bath with cold oatmeal porridge. This can improve skin irritation. In addition, oatmeal bathing is also believed to be a natural remedy for eczema and psoriasis. Baking soda is a natural medicine that is also good for itchy skin rashes. Add a cup of baking soda in a cold water container and soak your body for about half an hour for maximum results. You can also compress areas of itchy skin with washcloths or clean towels that have been soaked in baking soda water. Watermelon skin contains anti-inflammatory properties that function to soothe skin irritation or itchiness, and refresh your skin. In addition, banana peels can also overcome reddish itchy skin, because it can moisturize the skin. Peppermint essential oil can be used to treat itchy skin and reddish irritation due to insect bites or poisonous plants. This is because peppermint leaves are cold and very soothing. Olive oil can cure dry skin, itching, or reddish irritation. Olive oil contains oleochantal which can relieve discomfort due to inflammation of the skin, especially the face.